This game is so sweet. It is definitely a great way to interact with your child and teach them their numbers, and some plant life as well lol. It is really simple, which is something I like as well. Nowadays games try to hard to be complicated. This is just a cute simple game. It is a game box that is the "pot", the "ingredients (a bunch of acorns, plants, clovers, etc. ), a wooden spoon, and recipe cards. 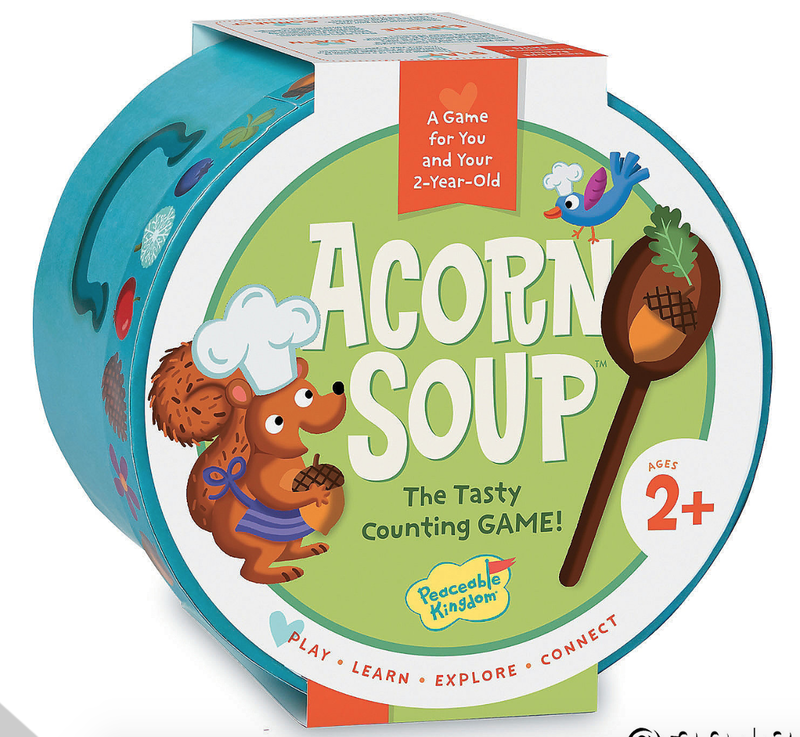 You pick a recipe, count out the ingredients, and mix them up to make Acorn Soup. I showed my son the card and he picked a recipe. Then I counted out the ingredients and dumped them in the "pot" while he stirred the pot. I showed them to him and counted them as I dropped in. My hopes is that he is going to handle this on his own eventually, after working with his numbers and getting them down. The game is nice and portable as well. We can take it with us to Grandma's as well. Because let's not kid ourselves, grandparents love seeing how smart their grandchildren are. It gives them something to brag to all their friends about. This game will definitely help your child advance. 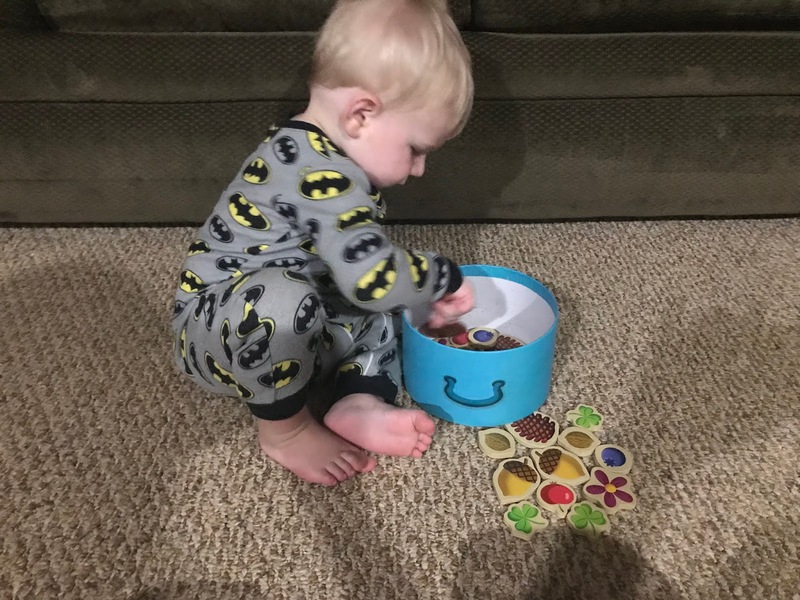 When Declan is feeling destructive he can just turn it upside down and dump all the pieces on the ground and spread the pieces all over the ground. It is all around good fun.